Zunes is a professor of politics and coordinator of Middle Eastern Studies at the University of San Francisco. 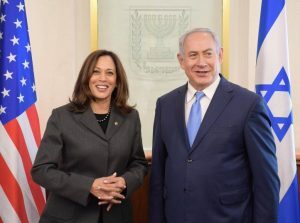 He just wrote the piece “‘More AIPAC Than J Street’: Kamala Harris Runs to the Right on Foreign Policy” for Foreign Policy In Focus. Zunes writes that Kamala Harris “is being embraced by many progressive Democrats, and she’s branding herself as a progressive. Yet in the course of her little more than two years in the U.S. Senate, she’s taken some foreign policy positions that should give pause to supporters of human rights and international law.